Visitors are afforded some of the best game viewing and cultural explorations available over three Southern African countries. This fully accommodated tour offers adventure at an affordable cost. Departs: Johannesburg, South Africa on Saturday at 6:30am. Ends: Johannesburg, South Africa on Sunday at ±5:00pm. Group size: Guaranteed from 4 guests; 12 guests maximum. 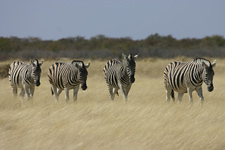 • Some of the best game viewing and cultural explorations available over three Southern African countries. This fully accommodated tour offers adventure at an affordable cost. • A true African experience - wild and free! • All inclusive trip with cultural experience, adventure and wildlife. • Kruger National Park, Great Zimbabwe Ruins, Matobos National Park, Hwange National Park, Victoria Falls, Chobe National Park & the Okavango Delta. 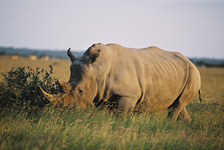 • Johannesburg to Johannesburg circular route with simple international flights and a chance to see rhino. 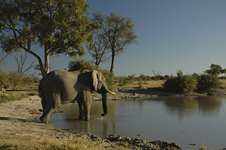 • Johannesburg to Maun offers the opportunity to fly out of Maun on day 15 and avoid the drive back to Johannesburg. • 11 nights on safari we stay at small lodges, with en suite facilities. • 1 night in Khama and 1 night at Letaba in Kruger NP is in self-catering chalets where two bedrooms share a bathroom. • 2 nights tented camp in the Okavango. • Each mini meru tent has twin camp beds with linen and en suite chemical toilet. Shared bucket shower tent with hot water off the fire. • 15 breakfasts, 13 lunches and 11 dinners are included, of which 5 breakfasts & 4 dinners are provided by the lodges. • The remaining included meals are prepared by safari crew at the vehicle and ejoyed around the campfire. SAFARI COST: $2,630 per person sharing, plus local payment of US$300 (in cash). SINGLE SUPPLEMENT: Single supplement $780. SAFARI COST: $2,055 per person sharing, plus local payment of US$200 (in cash). SINGLE SUPPLEMENT: Single supplement $375. Single tent supplement is applicable to the camping nights only. On accommodated nights clients will share with a same gender client. If you are a single traveler, you will be assigned to room with another same gender single traveler and there is no supplemental payment required. If you request to room alone, then the price supplement will be charged. Departing Johannesburg at 06:30am we head north-east into the world famous Kruger National Park. We visit the remote & seldom visited northern part of the park from Satara to Pufuri. We enjoy morning and afternoon game drives in our safari vehicle and hope to spot lion, elephant, rhino and other animals in this icon of wildlife conservation. Day 2 we wake early and game drive north through the park to the Pafuri region. 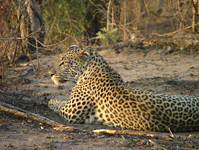 The northern Kruger is dominated by mopane veld and is the domain of large elephant bulls, wild dog and lions. As we reach the Limpopo Valley the vegetation changes to forest and birdlife is prolific. We exit the park, late in the afternoon, and overnight at a lodge just outside the Kruger. Overnight: Kruger National Park Chalets – we stay in national parks board chalets. Night 1: chalets Letaba – twin chalets (or lodge tent) shared facilities, swimming pool & restaurant. WiFi not available. Night 2: Awelani Lodge – en suite rooms, restaurant. Awelani Eco-Tourism Park is owned and run by the local Mutele community. WiFi not available. Distance / Time: Day 1: 550km, ± 8 hours, excluding stops for sightseeing & lunch. Day 2: 305km, ± 8 hours, game viewing drive, excluding stop for lunch. Includes: Entrance and guided tour of the Zimbabwe Ruins. Day 3: Breakfast will be provided by the lodge. Day 3: Lunch provided by the tour leaders with the help of the group. Day 3: Dinner will be a set meal provided by the lodge. Overnight: Great Zimbabwe Hotel – hotel, twin rooms with en-suite facilities, restaurant & bar. WiFi not available. Distance / Time: 480km, ± 6½ hours, excluding stops for border crossing (which can take 2 to 4+ hours) sightseeing and lunch. Includes: Entrance to Matobo National Park and game walks. Day 4: Breakfast provide by the tour leaders with the help of the group. Day 4: Lunch provided by the tour leaders with the help of the group. Day 4: Dinner will be a set meal provided by the lodge. Day 5: Breakfast will be provided by the lodge. Day 5: Lunch provided by the tour leaders with the help of the group. Day 5: Dinner will be a set meal provided by the lodge. Overnight: Hermits Peak – chalets - twin rooms with en-suite facilities (hot showers), swimming pool, restaurant, bar & telephone. WiFi not available. Distance / Time: 340kms, ± 5 hours, excluding stops for sightseeing, shopping & lunch. Includes: Entrance fees, full day game drive in open 4WD game viewing vehicle, Day 6: Breakfast will be provided by the lodge. Day 6: Lunch provided by the tour leaders with the help of the group. Day 6: Dinner provided by the tour leaders with the help of the group. Day 7: Breakfast will be provided by the tour leaders with the help of the group. Day 7: Lunch provided by the tour leaders with the help of the group. Day 7: Dinner provided by the tour leaders with the help of the group. Overnight: Miombo Safari Lodge – for 2 nights at Hwange National Park, we stay in twin chalets with en-suite facilities, swimming pool and central boma area. (Subject to availability, we may stay in twin en-suite tree houses) WiFi not available. 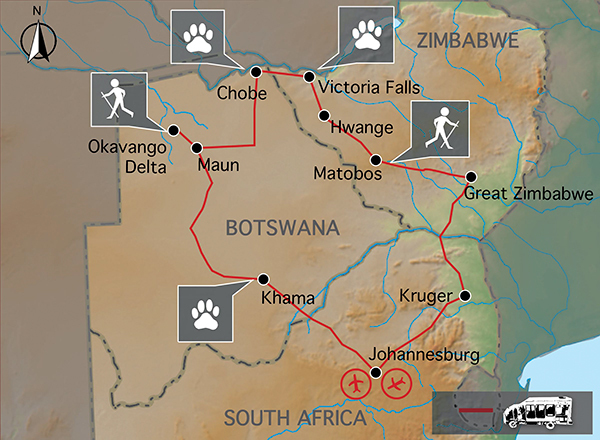 Distance / Time: 335kms ± 5 hours, excludes stops for sightseeing, game viewing & lunch. 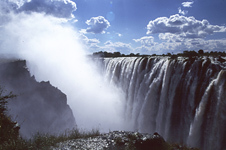 Includes: Entrance Fees to see the Victoria Falls. Day 8: Breakfast will be provided by the tour leaders with the help of the group. Day 8: Lunch will be an own expense meal. Day 8: Dinner will be an own expense meal at a local restaurant. Day 9: Breakfast will be provided by the hotel. Day 9: Lunch will be an own expense meal. Day 9: Dinner will be an own expense meal at a local restaurant. Overnight: Rainbow Hotel, twin rooms with en-suite facilities. Swimming pool, restaurant, bar and telephone. Free WiFi available. Distance / Time: 200kms ± 3 hours, excludes stops for sightseeing & curlo shopping. Optional Activities: White water rafting, sunset cruises, elephant back safaris, scenic flights & many more. 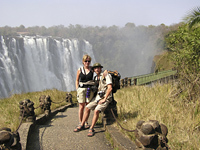 The optional 9-day version of this safari ends here in Victoria Falls at 08:00am the morning of day 9. See Pricing above. 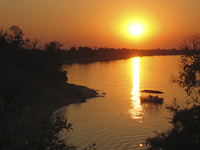 Includes: Chobe N.P entrance fees & sunset cruise on Chobe River. Day 10: Breakfast will be provided by the hotel. Day 10: Lunch provided by the tour leaders with the help of the group. Day 10: Dinner provided by the tour leaders with the help of the group. Overnight: Thebe River Safaris – twin chalets with en suite facilities. Swimming pool, bar, restaurant, telephone. WiFi available. Distance / Time: 85kms ± 1 hour, excluding border formalities. Includes: Day 11: Breakfast will be provided by the tour leaders with the help of the group. Day 11: Lunch provided by the tour leaders with the help of the group. Day 11: Dinner will be an own expense meal. Overnight: Nata Lodge – twin share luxury tents with en suite facilities. Swimming pool, bar, restaurant, telephone. WiFi not available. Distance / Time: 300kms – 4½ hours, excluding stops for sightseeing & lunch. 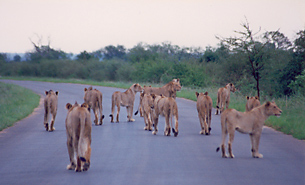 Optional Activities: Game drive in Chobe NP. We transfer into the delta by open 4WD game viewing vehicle. Our local guides will take us deep into the heart of the Okavango Delta on Mokoro (dugout canoes) to our pre-erected tented camp. The delta forms as rain water from the Angolan highlands flows out over the flat Kalahari Desert sands, forming a delicate, green oasis for birds and wildlife. Our camp is on a remote island in this amazingly dynamic environment and we enjoy bush walks, bird watching and swimming in the clear waters. Camping with our local guides we learn more about their lifestyle and culture. Returning to Maun in the afternoon of day 14 there is time for an optional scenic flight over the Okavango (own expense). Guests can end this tour on day 15 at 08:00am after breakfast to catch flights from Maun to Johannesburg. Ask us for pricing. 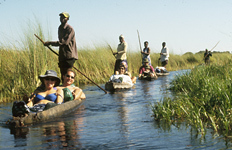 Includes: Entrance to Okavango Delta, Mokoro excursion, morning and afternoon game walks with local guides. Day 12: Breakfast will be provided by the lodge. Day 12: Lunch provided by the tour leaders with the help of the group. Day 12: Dinner provided by the tour leaders with the help of the group. Day 13: Breakfast will be provided by the tour leaders with the help of the group. Day 13: Lunch provided by the tour leaders with the help of the group. Day 13: Dinner provided by the tour leaders with the help of the group. Day 14: Breakfast will be provided by the tour leaders with the help of the group. Day 14: Lunch provided by the tour leaders with the help of the group. Day 14: Dinner will be an own expense meal at a local restaurant. Overnights x2 Okavango Delta: wilderness tented camping - 2 nights tented camp in the Okavango. Each mini meru tent has twin camp beds with linen and an en suite chemical toilet.Shared bucket shower tent with hot water off the fire. Tents have built-in insect nets. We need to take our own water and all equipment. Wild tented camping can be very enjoyable but please remember that we leave no trace of our stay and take all rubbish away with us. The wilderness tented camp supplies all linen blankets and pillows. Each tent is appointed with twin camp beds, comfortable mattresses, bedside table and light. The camp chairs have a backrest. WiFi not available. Overnight Maun: 1x night Crocodile Camp, chalet - twin share bedrooms with en suite facilities. Swimming pool, bar, restaurant, telephone. WiFi not available. Distance / Time: 300km, ± 4 hours + 2 hour 4WD transfer into the Delta, each . Optional Activities: Scenic flight over the Okavango Delta (+/-USD95-120) pp depending on number of people in each aircraft). Includes: Entrance fees and afternoon game drive. Day 15: Breakfast will be provided by the lodge. Day 15: Lunch provided by the tour leaders with the help of the group. Day 15: Dinner provided by the tour leaders with the help of the group. Overnight: Khama Rhino Sanctuary, 2 twin share bedrooms in each chalet with 1 bathroom shared between 2 rooms. WiFi not available. Distance / Time: 450kms – 6½ hours, excluding stops for sightseeing. Optional Activities: Night game drive in open game viewing vehicle. Crossing back into South Africa, we make our way to Johannesburg were the tour ends in the late afternoon. Includes: Day 16: Breakfast will be provided by the tour leaders with the help of the group. Day 16: Lunch own expense. Distance / Time: 630kms – 7½ hours, excluding border formalities & stops for sightseeing & lunch. Note: The distance and travel times quoted above are an estimate only, and subject to local road conditions and animal sightings! Note: The accommodation specified above and in the itinerary, is a guide only and is subject to availability. Alternatives will be of a similar standard, and accommodation changes will be made without notice. 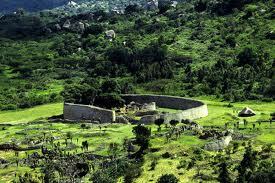 Special Interest: Great Zimbabwe Monuments is a UNESCO World Heritage site and its massive curving walls (some 11m high), constructed from millions of granite blocks fitted together without mortar, remain the largest ancient stone structure in sub Saharan Africa. The city had an estimated 18,000 inhabitants and archaeological artefacts including Chinese pottery shards and coins from Arabia suggest a vast trading network. Sustainable Tourism: Zimbabwe has for many years been off the tourist chart. Conservation has been a challenge for many Zimbabweans working in the national parks and on private land. In Matobos and Hwange national parks we use locally owned camps, operators and guides. Bringing tourist revenue back to the people on the ground will help support the protection of these beautiful wildlife regions. For the majority of this safari you travel in a custom-built safari trucks with 12 forward facing seats; or (on 10% of tours) Mercedes Sprinter minibuses with 12 forward facing seats and air conditioning. For the game drives in Chobe, Hwange, Matobos and the transfer into the Okavango we use local open sided 4WD vehicles with local guides. • A local payment is required on this safari and this will be collected by your tour leader on departure. • The local payment forms part of your overall tour cost, and must be taken into consideration when booking your safari. It will be used by your tour leaders to pay for some of the operational costs incurred on safari. Many of the tour costs are prepaid; however, in many cases, a cash payment is the only option as certain of the destinations that we visit only accept cash. For example entry fees to most national parks, some of the campsites and also local food markets (and even some shops) are only payable in cash. • In addition, each vehicle has a garage card but these are only accepted in South Africa and parts of Namibia, therefore in all other countries, fuel must be paid for in cash. Due to the remoteness of some departure points, having a local payment system enables us to manage tour funds effectively. The efficiency of this system helps keep the overall tour prices down. • It also ensures that a portion of the tour costs goes directly into the country you are visiting, thereby benefiting local communities and contributing to the conservation of the areas we visit. This is all part of the ongoing effort to operate sustainable safaris that make a real difference. An essential part of your safari is participation – from putting up your tent or packing away in the morning to helping with meal preparation and cleaning up – it’s all part of your adventure and when everyone puts in a little effort the trip will run smoothly. Your tour leaders will do all the meal preparation but we do ask the clients to help with the washing up. Team spirit is part of the fun! Craft shopping for carvings, batiks, paintings and clothing is best in Victoria Falls which has a wide variety of curios. Botswana has beautiful grass weavings but these are available mostly at curio shops as there are hardly any craft markets in Botswana. • We pride ourselves on giving very good healthy meals to our clients and will provide three meals per day, except 5 dinners and 2 lunches in Maun, Kasane & Victoria Falls where we try out local restaurants. •	The tour leaders do the shopping and meal planning for each group. He/she will always try to obtain fresh produce wherever possible. A rough idea of what these will consist of is: Breakfast - cereals or coffee and toast or the occasional fried breakfast, Lunch - cheese, cold meats, salads on bread or rolls, Dinner - braais (local barbecue), potjies (stews), stir fries etc. We use regular plates, cups and cutlery. All cooking and eating utensils will also be provided. •	We will supply fruit squash served with breakfast and tea or coffee served with breakfast and dinner. All other beverages will be for your own expense. We will not supply bottled drinking water although it is available at many shops on tour. • Anyone who is generally active and in good health should enjoy this trip. The accommodation used is simple but clean and this trip will appeal to anyone interested in getting the real wilderness of Botswana. •	Full itinerary with a couple of long driving days. The road conditions through the wilderness areas a very poor and our progress can at times be slow and dusty. Remember to hold on at all times and enjoy the ride! •	Everyone is asked to help out with the running of camp on tour. In other words if everyone spends a little time setting up camp, preparing meals and cleaning up then the tour will run smoothly and everyone will have a good time. Participation is the name of the game. 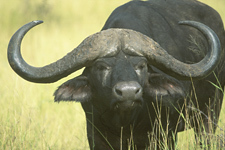 • Includes park entrances, game drives and the Okavango Delta excursion. •	As this tour spends most a large amount of time in wildlife areas it is essential that clients adhere to the tour leaders (and local guides) instructions regarding interaction with wildlife, camp safety and game walk/drive rules. •	You will need a valid passport and visas for entry into Zimbabwe, and Botswana and re-entering South Africa. •	Luggage, please pack to a limit of 12kgs in a soft sports tog bag. Also bring daypack for walks and keeping in the vehicle. •	We recommend that you bring Euro, US$ or South African Rand for personal expenses on this trip but please note that foreign currency will need to changed into Botswana Pula as shops, restaurants and market vendors only accept BWP. Expenses in Victoria Falls can be paid in US$ or South African Rand and major credit cards can also be used for optional activities. Traveler’s cheques can be changed in Victoria Falls, Kasane and Maun (although in Zimbabwe travellers cheques attract a very high commission). • What do I need to bring? Comfortable clothes for warm days and cool evenings, walking shoes, a raincoat, hat and sunglasses, swimsuit, and a water bottle. A small pair of binoculars also comes in very handy and most importantly - a sense of adventure! • Is it safe? Zimbabwe has been involved in a political power struggle over the past few years, and this has deterred tourists from travelling to the country. Having said this, the Zimbabwe people are always friendly and helpful to visitors to their country and tourists are welcome with open arms. Botswana is safe and your guide knows both countries intimately and will endeavor to show you the best parts while looking after you. In the wild areas your guide will brief you on the necessary precautions, follow this advice and you will be fine. Be aware of your personal belongings and you will have a great trip! • Do I need malaria tablets? Yes, the trip passes through malaria areas and prophylactics are recommended. • Solo Traveler? Going it alone won’t make your holiday more expensive; our reservations staff will match you up with another same-gender traveler to keep your holiday affordable. If however you request a single room or tent these are available, with a price supplement.